The Surface Pro 4 and iPad Pro’s love child. Well, sort of. Every other day, news pops up on the Internet stating that tablet sales are declining. Reports state that Apple's flagship product, the iPad Pro, isn't selling as well as it used to. Yet, we see the emergence of many devices that break the barrier between tablets and laptops. 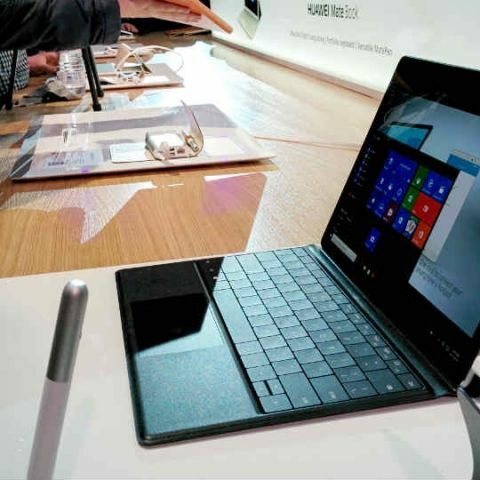 This year itself, we have seen the launch of the iPad Pro and the Surface Pro 4 in India. Additionally, there's a plethora of third party OEMs manufacturing hybrids running on Microsoft's OS, such as the Lenovo Yoga series of devices, and hybrids from Acer, Asus, etc. 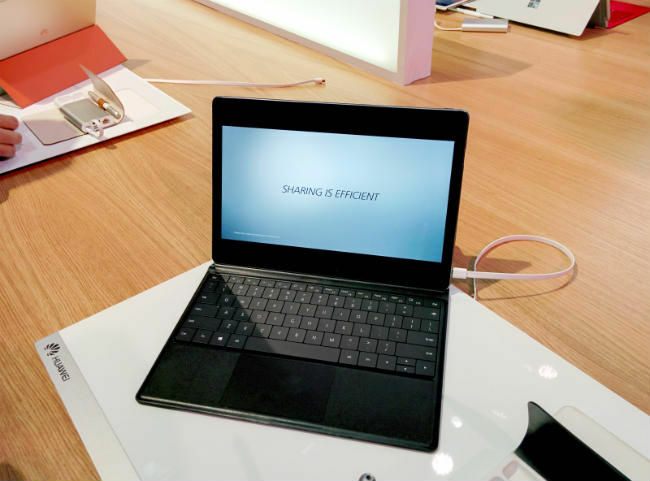 At pre-MWC day, when the likes of HTC, LG and more showcased their flagship smartphones for the year, Huawei has taken a different route and showcased a laptop-tablet hybrid running on Windows 10. Conveniently called the Mate Book, the device, put simply, looks like the love child of the iPad Pro and the Microsoft Surface Pro 4, and it looks good. Kicking things off with the specifications, the Mare Book has an aluminum unibody design that is 6.9mm thin and weighs 640 grams. It has a 12-inch display with a resolution of 2160x1440 pixels. Under the hood, the device is powered by the dual core Intel Core m3, m5 and m7 processors, 4/8GB of RAM, and 128GB, 256GB or 512GB SSD storage. The specifications on paper seem pretty good, but we will hold our final verdict until we spend a few days with it. 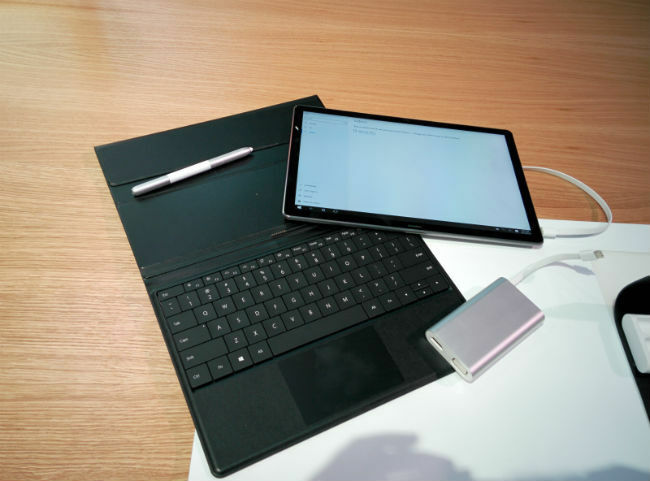 Just like the Microsoft Surface Pro 4 and the iPad Pro, the device has additional keyboard and pen that you can purchase. Where the iPad Pro has shown its flaws with the Smart cover, Huawei seems to be taking the same route. The keyboard cover wraps around the tablet as a protective case, but when you want to adjust the angle, you are limited to two presets against the iPad Pro's one. That's a disadvantage, especially if you consider the hinge that's housed on the Surface Pro 4 and Google's Pixel C.
Coming to the typing experience on the keyboard, its as good, if not better, than what we've seen on the Surface Pro 4. It also felt reasonably comfortable. As for the Mate Pen (a rather intriguing name to give), there is no housing for it on the tablet, as we've seen on the Surface Pro 4. With the limited time that I spent with the Huawei Mate Book, that's all that I can tell you about the device. It looks good, the colour options look attractive, and at a glance, you'd be forgiven for thinking that it's a Surface Pro 4, or even an iPad. Stay tuned for further details in our detailed review. Disclaimer: Digit went to MWC 2016 self sponsored. No other company or individual was associated with Digit's MWC 2016 coverage.